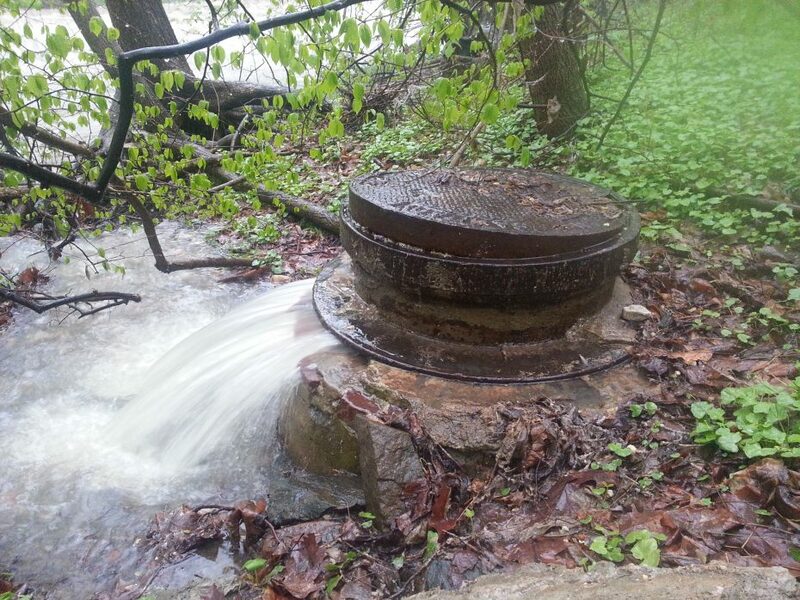 This Blue Water Baltimore photo shows raw sewage mixed with storm water, overflowing from a damaged sewer manhole next to the Herring Run stream. The Maryland Board of Public works has approved $74 million worth of wastewater and sewage treatment projects across the state’s Chesapeake Bay watershed. The bulk of the grants and loans will go towards multiple sewer infrastructure projects in Baltimore City ($57 million). The money will also fund nutrient removal at two wastewater treatment plants in Caroline County, a brand new wastewater treatment system in Garrett County, and a stream restoration project in Allegany County to reduce the effects of coal mining.